This two-story brick house was built in 1907 as a residence for the president of Harbison College. 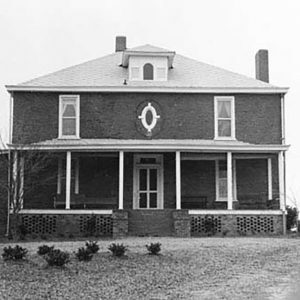 The college began in 1898 as Harbison College for Colored Youth, an outgrowth of Ferguson Academy, an African American school established in the 1880s. The school was a co-educational institution offering a liberal arts education combined with religious, industrial, and agricultural training. The Board of Missions for Freedmen decided to move the school to Irmo after three students were killed in a suspicious fire. The president’s home is the only remaining building.